Rocket launches from Sutherland could require safety measures to reduce risks to workers on North Sea oil and gas platforms – and residents of the Faroe Islands. It has emerged that the so-called “Sceptre” report, produced by Highlands and Islands Enterprise (HIE) and others, highlighted such challenges in 2017. It warned that “as a last resort then the population could be evacuated i.e. from North Sea Oil Rigs or small islands”, and suggested “effectively closing the area” to ships and aircraft “for the period of the launch and downrange flight”. As it assessed potential spaceport locations, the study suggested there were three oil and gas platforms “that may be within some of the flight corridors”. 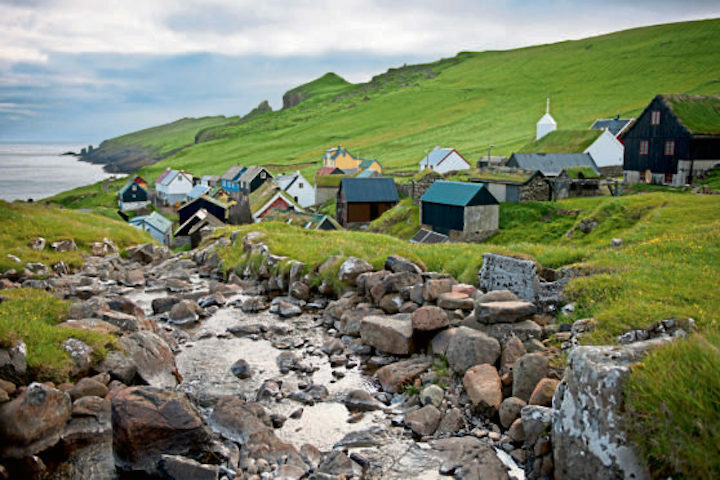 In considering the best launching trajectories, the report said that local populations must be taken into account at many locations, with the Faroe Islands of “particular concern”, and Iceland and Norway also “likely to be a potential concern”. It said that from a “pure orbital delivery performance perspective”, Saxa Vord on Shetland is the “best location in the UK to launch from as the trajectory avoids the populations in the Faroe Islands and Iceland”, while Aird Uig on Lewis offers the “poorest performance”. To launch from The Moine in Sutherland, the rockets would be required to carry out a “dog-leg manoeuvre” to reduce the “risk to the population of the Faroe Islands to an acceptable level”. Performing such a manoeuvre would reduce the payload on a rocket by about a third, however. Trevor Stapleton, health and safety manager for industry body Oil & Gas UK, said: “The UK’s offshore oil and gas industry communicates regularly with appropriate authorities in order to maintain and improve safe operations in the marine and air environment. A spokesman for the Faroe Islands government said: “UK Space Agency has contacted the Ministry of Foreign Affairs and Trade regarding future undertakings, which includes the Sutherland plan. Professor Malcolm Macdonald, who sits on the board of the UK Space Agency, said “effectively you can fly around” the Faroe Islands and Iceland, and although the “simplest, most fuel efficient way is to fly in a straight line”, launches from Sutherland “would be able to do these types of dog-legged manoeuvres”. Frank Strang, director of Shetland Space Centre, which is involved in trying to develop UK’s first spaceport. The boss of Shetland Space Centre (SSC) has alleged that it was “deliberately kept out” of a major funding competition to develop the UK’s first spaceport. 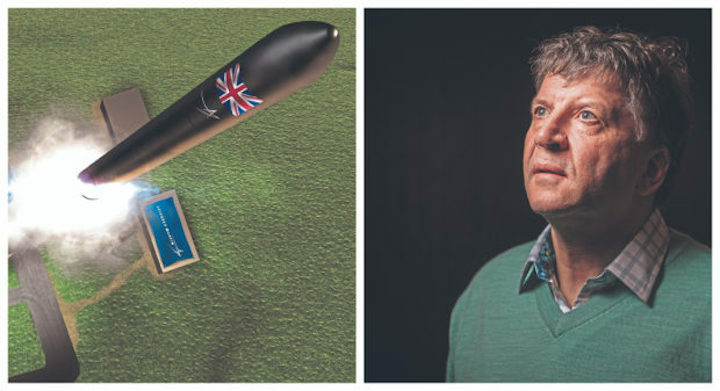 Frank Strang, a former RAF officer who wants satellites to be sent into orbit from his site at Unst, lifted the lid on how he was left feeling “disappointment, frustration and anger” at the way the process was handled by Highlands and Islands Enterprise (HIE). In an interview with the P&J, he claimed HIE opted to back a site in Sutherland for the £17.3 million spaceport despite its own analysis showing that Shetland and Orkney would be better locations. Mr Strang also suggested that the finding was withheld from SSC, and that HIE had cost the Unst project business support by “back-briefing” against it across Europe. Meanwhile, Shetland MSP Tavish Scott branded HIE’s conduct “extraordinary”, suggested it was now “actively working against the interests” of the Western and northern isles, and that he had raised the matter with Scottish Government ministers. Last night, HIE described the claims as “surprising and disappointing”. The UK Space Agency (UKSA) announced financial support last summer for an HIE-backed scheme to launch satellites from The Moine in Sutherland. Mr Strang, who owns the former RAF Saxa Vord site on Unst, suggested that his team’s efforts to enter the contest were thwarted by HIE. He said SSC asked officials from the agency how they could submit a bid, but they were told “leave it with us”, and “they never came back to us”. After the competition closed, a member of the SCC team bumped into two advisers to the UKSA, and asked why Unst was not considered for cash support. They responded that “we were told that nobody (on Shetland) was interested”, according to Mr Strang. Then, he said the UKSA sent him a copy of the “Sceptre” report, which was produced by HIE and partners in February 2017. Mr Strang said he “almost threw up” when he read it – because “it was obvious that we had been kept out of something”. The executive summary of the report said: “The site offering the maximum payload mass to orbit is Saxa Vord in the Shetlands, from where direct launch is possible to both SSO and polar orbits. However, the report did add that the remote nature of the Unst site “means it is logistically the most challenging”. Mr Strang claimed that an HIE official reported that they were “told not to show it to you”. Despite missing out on UK Space Agency and HIE funding, the SSC team have continued to progress its plans to launch rockets from Unst. Mr Strang said that SSC had recently reached an agreement to work with a German firm, however he “never heard from them again” after an HIE official was featured in a German newspaper “talking about it being problematic to launch from Shetland”. Mr Strang, who grew up in Sutherland, fears the backing of the Moine site for the first spaceport could jeopardise the region’s ability to cash in on the lucrative sector, because of potential delays linked to legal wrangles, opposition from some local crofters, logistical issues and environmental concerns. “It’s prejudicing it. It could cost the economy tens of millions,” he said. He added that HIE had supported SSC, including financially, and that it released the Sceptre report in December 2017 after receiving a request. But Mr Scott, a Liberal Democrat MSP who is also an SSC director, said: “All I want is for HIE to adopt a level-playing field approach to this, that any of the three sites – Benbecula, Sutherland or Unst – can develop, and if they develop they will be given a fair wind by the economic development agency of the Highlands and islands. “Sadly that is not the case. At the moment HIE are supporting one, and actively therefore working against the interests of both the Western and the northern isles. Local debate over the £17 million rocket-launching project in Melness and Tongue has occasionally turned nasty in recent weeks and months, according to several residents. Tempers flared to such a degree at one meeting last summer that a complaint was made to the police, a spokesman for the force has confirmed. On social media, meanwhile, opponents of the spaceport project have been invited to go “back to where you came from” more than once in the last few days. And one couple were so concerned about the proposals, backed by Highlands and Islands Enterprise (HIE) and the UK Space Agency, that they have now moved abroad. “There’s an aggression in the way certain individuals speak to you. Some individuals turn away and won’t speak to you,” said George Wyper, who lives in one of the 12 townships of Melness. The total population of the Melness community is thought to be about 160 at most, although many of the homes are primarily used for holidays. 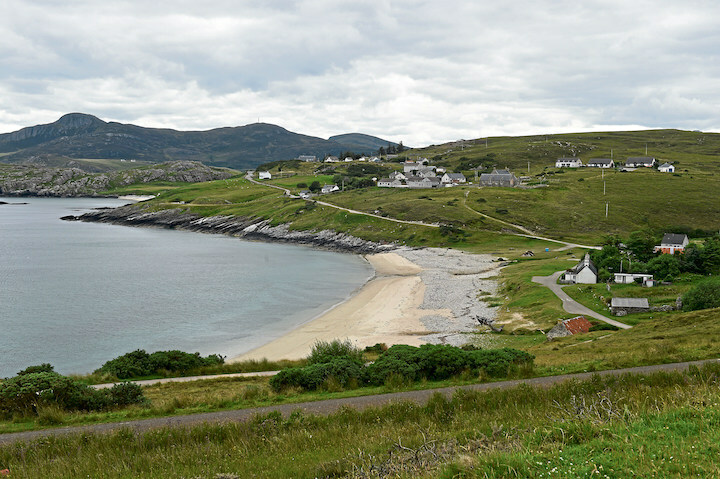 It is connected to the 500-resident village of Tongue by a causeway which is part of the North Coast 500 driving route. The community of Talmine on the Kyle of Tongue and close to the site of the new spaceport on A’Moine in Sutherland. The communities lie in the shadow of Ben Hope and Ben Loyal, on the north coast of Sutherland, and the infrastructure is basic. “We’ve got single-track roads, which are really needing repaired, they’ve closed the toilets, they’ve closed the bank, the main shop in Tongue is closed, there is no fuel, you can’t buy diesel or petrol, there is no medical cover on Fridays, Saturdays and Sundays, unless they can get a locum, and broadband speeds are at 0.4,” said Janette Wyper, wife of George. However, Scott Coghill, a painter and decorator from Tongue, disagreed. “I’m absolutely in favour, and so are most of the locals here,” he said. “It’s an absolute godsend for this area. We need it desperately. We’ve got a falling population of young people here, it’s drastic, we’re now down to 14 people in our primary school, that’s down from nearly 50 at one point. Mr Wyper is technically an “incomer” but his family connections to Melness stretch back almost two centuries. His great-grandmother moved to the community from Lewis in 1827, and his mother’s family have remained there since. The retired construction manager spent every holiday in the remote beauty spot while growing up, and the couple moved permanently there in 2012. Even before the move, he would routinely travel north from Paisley to attend board meetings of the Melness Crofting Estate (MCE), having taken on the family’s croft. Mr Wyper, now 72, served as its chairman, before stepping down, and then re-joining when plans to build the spaceport on the crofting estate were first made public. “When this thing popped its face up, I thought ‘this is not good enough’, because what they weren’t doing was telling people who were board members. They kept it all quiet,” he said. “What they’ve done is they’ve entered into a tacit agreement, if you like, with this agency (HIE), without actually asking the shareholders. The couple have multiple concerns about the project, including the way it has been handled by the MCE board, the safety of launching rockets over homes, the impact of restrictive security measures at the site, as well as the effect on the environment and house prices. Mrs Wyper said: “I think people feel that they are going to lose control of the land. Mr Wyper made his reservations clear to the board, but then resigned along with two other directors after the majority indicated they wished to press ahead. A vote of MCE members in November found that 27 were in favour of continuing with the plans and 18 were against. The chairwoman and secretary of MCE did not respond to the P&J’s requests for comment. Despite the vote, if planning permission is granted, the proposal to change the use of the land is expected to go to the Scottish Land Court, potentially delaying the scheme. Opponents of the project have established the Protect The Mhoine (PTM) group, and in response, Mr Coghill set-up “SPUR – Space Port United Residents”. Mr Coghill added: “We can let the community die, become a retirement village, that’s what they want to happen.